The Single-Family Builder Compensation Study, 2017 Edition was conducted in July 2017 by the NAHB Housing Policy and Economics Group. It collected data on compensation and benefits for 39 common positions at single-family home building companies. 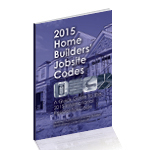 Have you ever wondered what other residential remodelers like you are earning? Or more importantly, how much you should be making in your remodeling business? 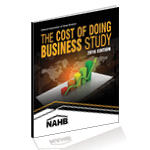 The Remodelers’ Cost of Doing Business Study, 2017 Edition provides you with the benchmarks you need to compare your business to remodeling firms like yours, as well as with the industry as a whole. 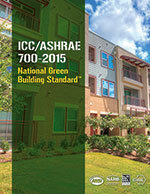 Safety is the soundest investment you can make in your home building business. Your marketing program must start with a strong foundation comprised of your website, brand, and content. Once that foundation is established, you can build upon it. Social Media Marketing for Your Business shows you how to create a winning marketing plan by carefully setting goals, creating strategy, and targeting audiences. Creating estimates just got a little easier as the author details how you can save money and time by using Microsoft® Excel 2007 to develop estimates that are reliable enough for your most important management decisions. You’ll learn essential skills for programming basic formulas to…. This easy-to-use handbook contains the complete English and Spanish text side-by-side to facilitate straightforward communication. 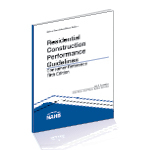 It provides an overview of the key safety issues residential builders and workers need to focus on to reduce accidents and injuries. 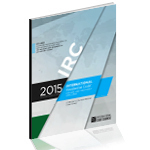 The third edition includes updated information on fall protection…. Give your customers invaluable, well-presented tips on maintenance to help keep their homes performing like new. Includes useful checklists and a detailed log for home maintenance—the key to on going home owner satisfaction and critically important to your warranty program. Guaranteed to be one of the most welcomed handouts at closing. Sold in packs of 10. How They Compare to Other Home Buyers is the latest study in NAHB’s long history of tracking the evolution of home buyer preferences. 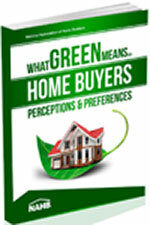 How do various designs and features influence the home purchase decision? What influence do life events and people have on the decision to move to another home?